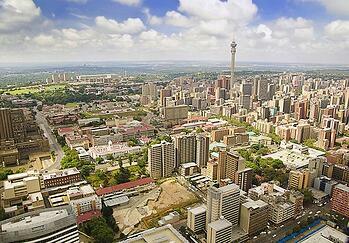 The FAIR Institute is excited to announce the launch of our newest chapter–the 14th worldwide--in Johannesburg. The inaugural meeting will be Friday, October 12. Reserve your place at the meeting. Seating is limited. 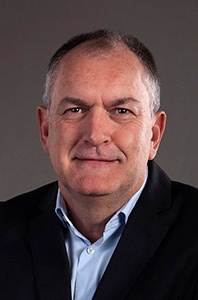 The chapter leader is Johan Botha, Managing Director for Analytix, a Governance, Risk, and Compliance (GRC) and information and cybersecurity consulting and training services firm, with clients across Africa and the Middle East. The company offers cyber risk quantification analysis and FAIR certification training. "In South Africa, Johan says, "There is a dire need to enhance the reporting of cyber risk, and specifically the quantification of cyber risk. Unfortunately, until now, there has not been a risk quantification framework, or software solutions generally available to the market. "While South African organizations have a very good track record for adopting and implementing international best practice frameworks, e.g. COBIT, TOGAF, ITIL and ISO 27001, FAIR is not known to the market yet and adoption and implementation is therefore minimal. "I foresee that the launch of the FAIR Institute will be a conduit to establish and promote FAIR to empower South African risk professionals to collaborate with their business partners on achieving the right balance between protecting the organization and running the business." For the launch meeting, "We have invited CIO’s, IT Risk Managers, Information Security Managers, and Risk Managers, as well as current and prospective members of the FAIR Institute in Gauteng to attend for what is sure to be a lively discussion and great networking opportunity with other risk experts and FAIR practitioners interested in risk quantification." Date: Friday, 12 October 2018. Find your local chapter of the FAIR Institute and join now (it's free).